Eric Wilbur is a Boston.com sports columnist who is still in awe of what Dana Kiecker pulled off that one time in Toronto. He lives in the Boston area with his wife and three children. Comments and suggestions for the best Buffalo wing spots are encouraged. I�m buying into it. The plan. The bottom line. The Patriot Way. Let a certain segment of Patriots fans and media wail and scratch their heads over Bill Belichick�s decision not to overpay all-world cornerback Darrelle Revis. Let�s allow the miserable curmudgeons among us to lash out against the team for sacrificing a guy who was arguably the best defensive player in franchise history. Not here. The defending Super Bowl champions are still the best team in football. If Belichick wants to be the first NFL head coach to successfully implement the circle defense without employing the use of corners, who are we to judge? 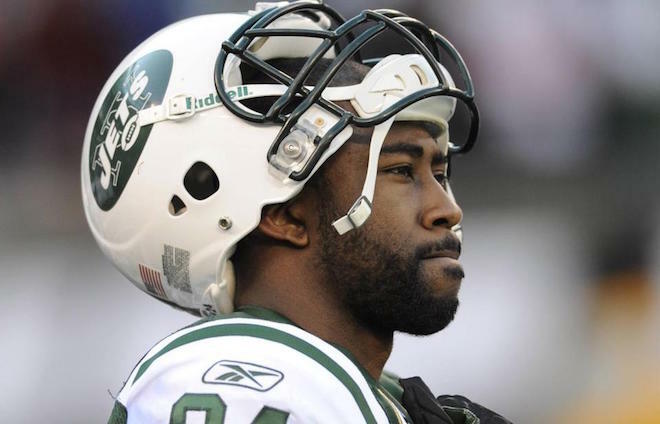 Don�t want to pay Revis? Might as well not pay fellow cornerback Brandon Browner as well? I�m on board before you can even toss me a line. The New York Jets? They just don't seem to get it. The Jets have reportedly agreed to a five-year $70 million contract with a player who will be 30 years old by the time the 2015 season begins. The $39 million guaranteed that mercenary Revis received is front-loaded in the first two years with $33 million coming to him from a team that currently employs Rex Ryan leftover Geno Smith as its quarterback. Silly Jets. The Patriots just aren�t going to dedicate similarly ludicrous funds to any one player, no matter how integral to the team�s success he might be. That goes for Tom Brady. Rob Gronkowski. Julian Edelman. Even Revis, the best cornerback in football. The Jets made a splash in free agency, while the Patriots are content swimming their laps past everybody else in the NFL as the class of the league. The Jets are handcuffed. The Patriots are set up for long-term reward. You can�t argue with success. So, we won�t. I�m sewing the �In Bill We Trust� patch on my denim jacket today. Lord knows why I haven�t done it sooner. Patriots fans have come to trust that Belichick and the Krafts know what they�re doing in letting premium players hit the bricks. Wes Welker is a shell of his former self. Asante Samuel never really lived up to the money he received on the open market. Adam Vinatieri was more than adequately replaced by Stephen Gostkowski. Deion Branch had to come back to New England to prove his worth as a usable wide receiver. Over and over again, the Patriots show the ires of March to be nothing more than silly fretting. In like Borges, out like Reiss. History tells us, the Pats will be fine. They always are. Even without its successfully re-tooled defensive secondary, New England will likely go 12-4 next season and earn a first round bye. Who�s better? Denver with a geriatric Peyton Manning and no Julius Thomas? The Indianapolis Colts who seem intent on creating a running game when they have the best, young quarterback in the game in Andrew Luck? The Baltimore Ravens, who may be too busy whining about the �deceitful� competition they have to face? The AFC East is trying its best to catch up to the Patriots, but it�s a fool�s errand. The Dolphins have reportedly agreed to $114 million contract with Ndamukong Suh, whose presence, apparently, is to improve what was already a top-notch defensive line in lieu of the Dolphins addressing other, more imperative needs. The Bills just traded for Matt Cassel to compete for their starting quarterback job. The Jets are revamping the roster after Rex Ryan's departure, but may be starting a rebuild by purchasing a shiny, new pool before they even bothering to lay the foundation. According to multiple reports, New England ended its negotiations with Revis with a guaranteed offer of $35 million. That�s a difference of only $4 million in guaranteed money compared to what the Jets gave him. That�s a serious gap when you have to pay Marcus Cannon his $1.2 million base salary. Earlier this week, we may have reasoned that the Patriots should have gone above and beyond for a player of Revis� caliber, even if it meant picking up the second, option year on his contract, biting the bullet on what would have amounted to a $25 million cap hit. But this is the way the Jets would do business, putting one player, one name above the overall goals and philosophy of the franchise. The Jets Way may make the springtime back pages in New York, but the Patriot Way makes the front page in February. By signing with the Jets, Revis got more money and an extra month�s vacation, at least so says the quips making the rounds among Patriots fans. He had to come to New York�s hated rival to win a ring, with the HC of the NYP to make matters worse. But it�s cute that Jets fans can feel warm and fuzzy for one day. Revis was late to practice that one time. He was probably an injury waiting to happen. His heart was always in East Rutherford, N.J. He was a Ferrari convertible in New England, fun for one season, but an expensive luxury after that. The Patriots lost the best cornerback in the game � and his on-field counterpart also became a free agent � and are back at square one. They�re still on the hook for a $5 million cap hit for declining the $20 million option. But a potential difference in guaranteed money of $4 million? That�s difficult for many Patriots fans to swallow, a seemingly menial amount that could be the difference between returning to the Super Bowl, and merely making it back to the AFC title game. Not here. Brady may only have a few more years left in his prime, but the Patriots are planning for the long-term, sans Darrelle Revis. The Patriots win again. At this point, it�s foolhardy to believe otherwise.